Economic globalization and respect for human rights are both highly topical issues. In theory, more trade should increase economic welfare and protection of human rights should ensure individual dignity. Both fields of law protect certain freedoms: economic development should lead to higher human rights standards, and UN embargoes are used to secure compliance with human rights agreements. 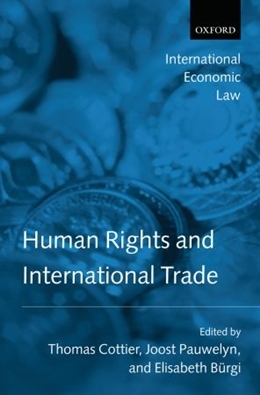 However the interaction between trade liberalisation and human rights protection is complex, and recently, tension has arisen between these two areas.